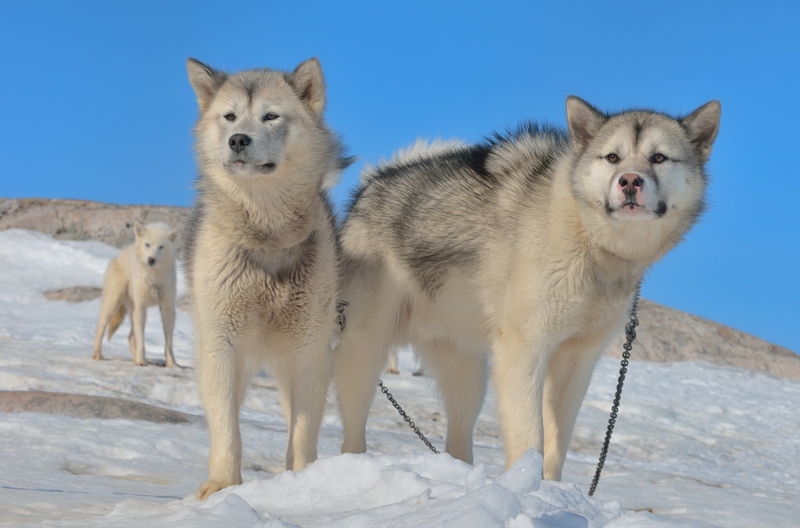 Greenland Dog looks like a Siberian husky and Alaskan malamute. 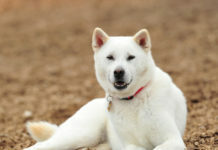 It is a hardworking sled dog and is also a remarkable hunter; excels in hunting polar bear and seal. On the workplace they become determined hunter and inside home they become sweet and loving pet. This working class breed is not suitable for apartment because it needs space to open up and wander. They thrive well in a working environment alongside humans. 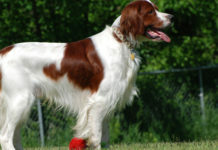 Its endless energy, mental strength and boldness make it one of the desirable cold region dogs. 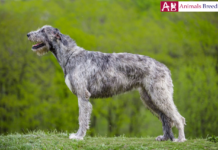 It is also one of the oldest dog breeds that existed since centuries. It gets along well with other dogs because historically it was taught to hunt in packs. With children they tend to be patience and protective. They adore children and love to play with them. 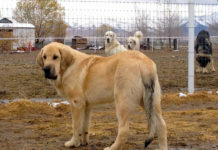 Its devotion to the family members makes it popular breed in Greenland. 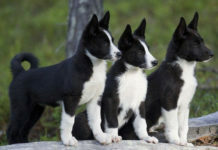 As the name suggests, this ancient breed belongs to Greenland. According to sources, Vikings (an Eskimo tribe) were the first to bring this dog to Greenland. It was husky kind of dog that was bred to pull sled and hunt polar bears and seal for humans. The dog’s thick double coat and stamina to work even in -150 degree Fahrenheit made it a priceless possession to them. 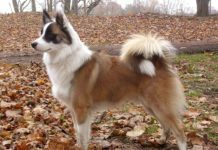 Though the breed is rare outside Greenland but in its own country it enjoys popularity and respect. It is suitable for active owners who can conduct vigorous exercise to the dog. 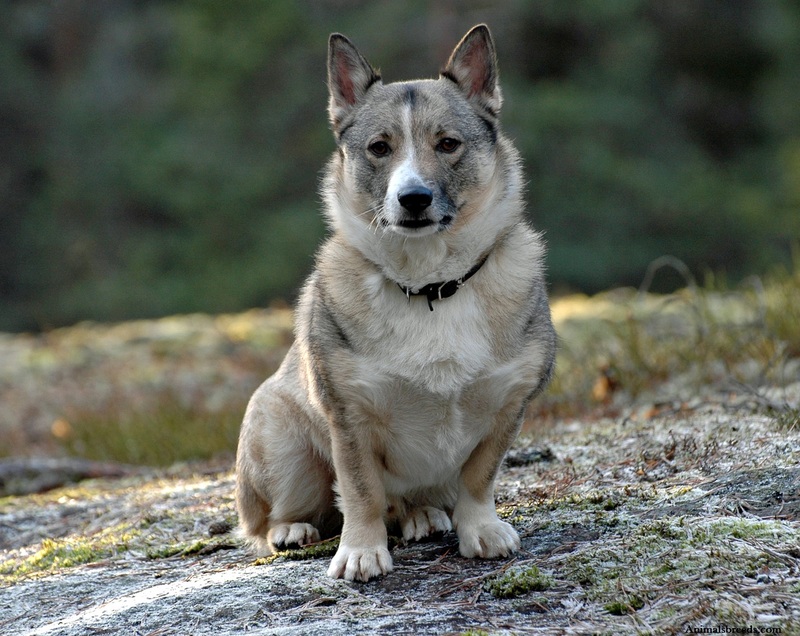 Greenland Dog is a powerful and sturdily built up dog. Its skull is wide and muzzle is wedged shape. Eyes are dark in color with little tilted positioning on face. Ears are erect and stand atop the head. Its face is covered with thick fur to avoid frost bite. Tail is bushy and long that gets curved at the end. The body is rectangular in shape means it is longer in length than height. Males are 58 and 68 cm tall while females are slightly shorter and are 51 and 61 cm tall. 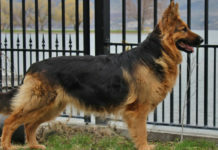 The weight of the breed is between 30 to 32 kg. It has dense two layered coat. 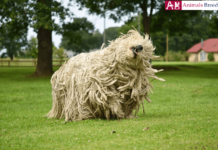 The coat is thick that helps the dog to withstand extreme cold conditions. Top coat is of medium length and slightly coarse to touch. Undercoat is soft and wooly. The tail and ears are covered in thick fur too. 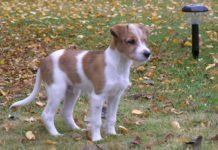 The dog is available in various combinations of white, black, brown, red and gray. 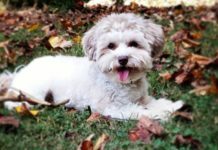 Personality – They are cute looking teddy bear kind of dogs. They take their role of hunting seriously. They think themselves as a leader of the pack so you need to take the lead. While taking it out, be a foot ahead of your dog. This will give impression that you’re the leader of dog. Because of this reason, they are not suitable for first time owners. Once the leadership has been established, the dog will become the most lovable creature for you. It is also protective of its family. Behavior – It is a working class breed, hence work keeps it happy and engaging. They are not for apartment life because of their high energy, drive of hunting and tendency to work. Despite being heavy in size, the dog is far from being a couch potato. The worst day of dog is the one where he is made to sit idle. 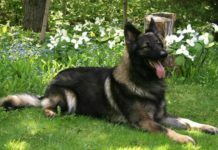 An idle dog becomes destructive in nature and becomes hard to control. They love the work that involves strength and stamina. Being a sled dog they love to pull objects. Small animals should be kept away from the dog. 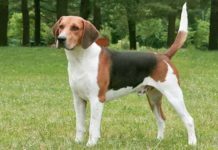 Trainability – Socialization lesson and establishing yourself as leader of the house is imperative for this dog. Training could be difficult because they tend to strong willed and possess an independent streak. But with stern behavior with an air of politeness in your voice, the dog can learn the skills efficiently. Treats and appreciation will foster training of dog. Activities Requirement – The dog loves to run and pull objects. They love to be outside so make sure you provide it an opportunity to run and bounce. Even after you have provided it daily dose of exercise the dog will not sit idle and keeps on wandering. You can also take your dog on skiing and on adventure trips. At least 1 to 2 hours of training is must for them. You need to feed this dog barf diet. Barf is an acronym of biological appropriate raw food. You can give raw ham and egg to this dog. Deer meet provides a good supplement of minerals and vitamins to this dog. You should keep in mind that dogs are carnivorous animals and they love bones and meat. You can also give them fresh chicken and grains to eat. 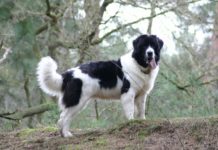 This breed loves fruits, cottage cheese and boiled eggs. The dog is not hypoallergenic in nature. 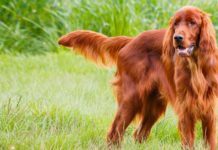 It is a healthy dog that doesn’t suffer from major health issues. 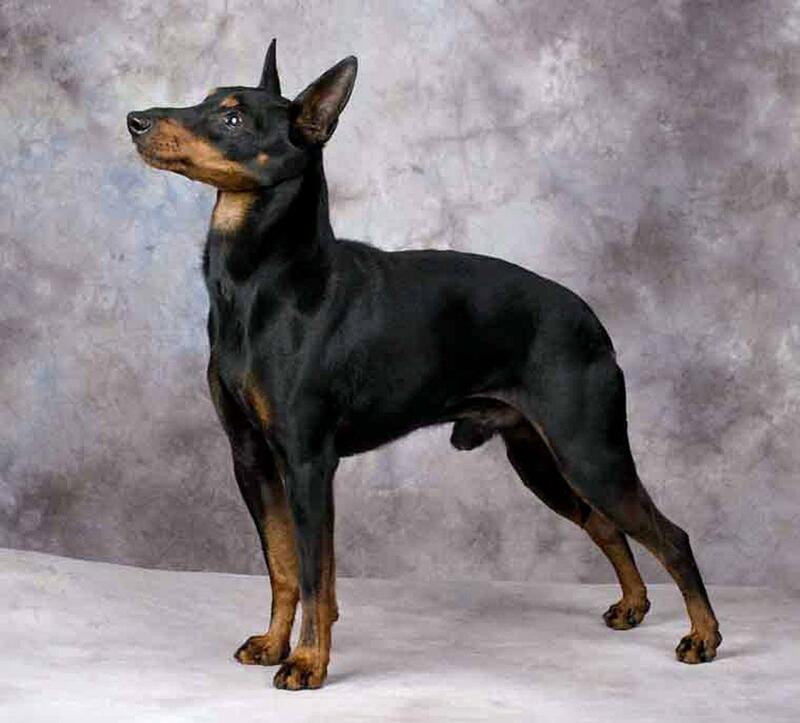 Minor health concerns of this breed are- gastric torsion, hip dysplasia, and other musculoskeletal problems. It sheds throughout the year and heavy shedding is done twice a year at the time of season change. 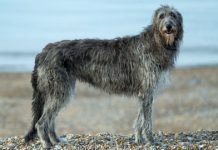 There is also no need for trimming the hair of this breed. They keep themselves clean, so there is no requirement of bathing and trimming its hair regularly. Only Few times a year they should be bath. You are required to comb the hair of this dog daily to avoid mess. Brush the teeth of the dog regularly so that it doesn’t develop cavities. Wipe the eyes of the dog with soft tissue because this breed loves to be outside all time and as a result dust particles can enter its eyes. The dog is not suitable for apartment life. They thrive well in cold climate regions. 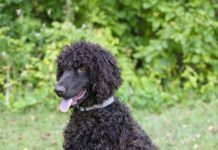 The breed is not hypoallergenic in nature.